Game Audio Programming is a comprehensive guide to interactive audio programming for the Microsoft Windows ? platform. Written for C++ programmers implementing an audio system for an entertainment or multimedia title, this practical reference covers a wide range of topics relevant to today's audio programmers, including DirectX Audio, audio decompression libraries, hardware filters and effects, geometric representation of world data for effects, occlusion and obstruction, and more. 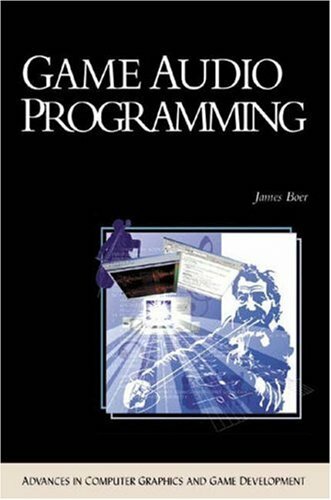 In addition, a full-featured, documented, and internally commented game audio programming (GAP) library is referenced throughout the book to explain various concepts. The library is included on the companion CD-ROM and can be used as either a ready-to-use library for your own games or as reference code to help implement an audio system. If you have any questions about this product by Brand: Charles River Media, contact us by completing and submitting the form below. If you are looking for a specif part number, please include it with your message.